You can stop wasting water and still have more than enough. You can stop wasting electricity and still have more than enough. You can stop wasting gas in your car and still have more than enough. You can stop wasting food and still have more than enough. You can stop wasting just about everything you use and still have more than enough left over for all your needs! 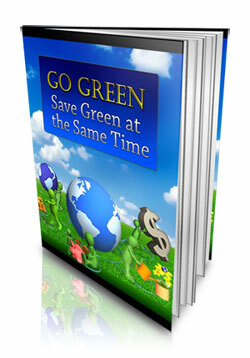 In short – you will discover "125 Ways To Go Green … Save Green at the Same Time!" and make a BIG difference! This PDF ebook comes with 11 PLR Go Green articles and also comes with Private Label Rights. Retail price of this PDF ebook is $17.00 but our price is just $1.00!